Omar al-Bashir, the authoritarian president of Sudan, was ousted by the military on Thursday after four months of civilian protests. Al-Bashir ruled over Sudan for 30 years, many of which were plagued by human rights abuses, famine, and war. Al-Bashir was president during the 21-year war in southern Sudan, which culminated in South Sudanese independence in 2011. Al-Bashir supported oppressive militias during the Darfur conflict in the 2000s, during which up to 300,000 people were killed and 2.7 million driven from their homes. 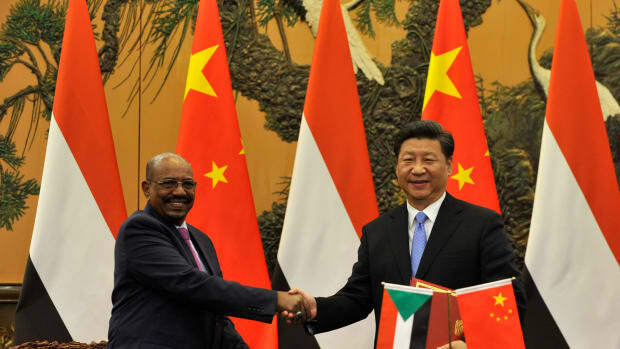 While al-Bashir&apos;s current location remains unknown, demonstrators and human rights groups are encouraging Sudanese military authorities to turn him over to the International Criminal Court, where he faces charges of war crimes and crimes against humanity. 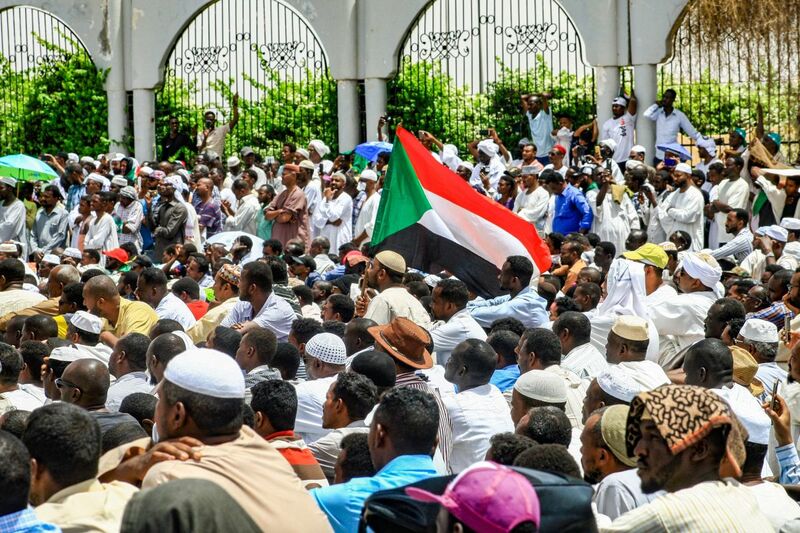 The most recent wave of protests in Sudan began in December, initially over the ailing economy, but transformed into increasing calls for the president to step down. Al-Bashir brutally cracked down on protesters, using tear gas, rubber bullets, and batons in clashes that killed dozens of demonstrators over the course of months. After Abdelaziz Bouteflika, Algeria&apos;s repressive and long-ruling president, stepped down last week following massive protests, violence in Sudan escalated. At least 22 people have been killed since Saturday, according to the Associated Press. 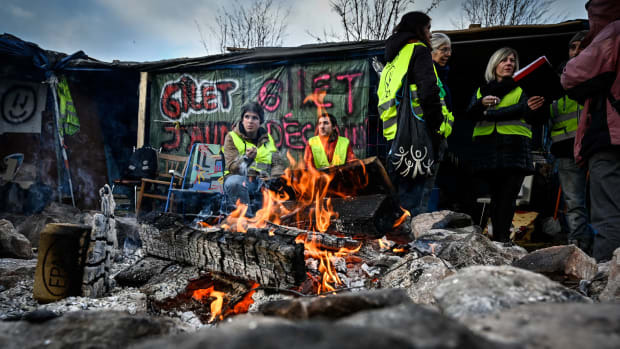 The widespread, regional protests are reminiscent of the 2011 Arab Spring, which brought down authoritarian leaders across the Middle East. 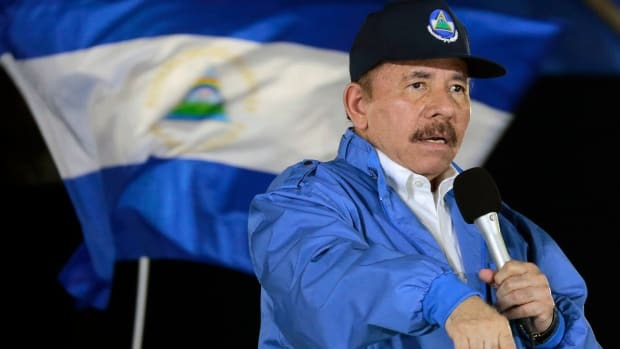 Lieutenant General Awad Mohamed Ahmed Ibn Auf, al-Bashir&apos;s defense minister, announced that the military will be temporarily taking control, triggering a new wave of protests. General Ibn Auf, like Mr. al-Bashir, had been accused of perpetrating war crimes in Sudan&apos;s western region of Darfur, according to the New York Times. In his televised speech, Ibn Auf announced the military&apos;s plans to release political prisoners, dissolve the government, and suspend Sudan&apos;s constitution, and to implement a two-year, transitional military council and 10 p.m. curfews. 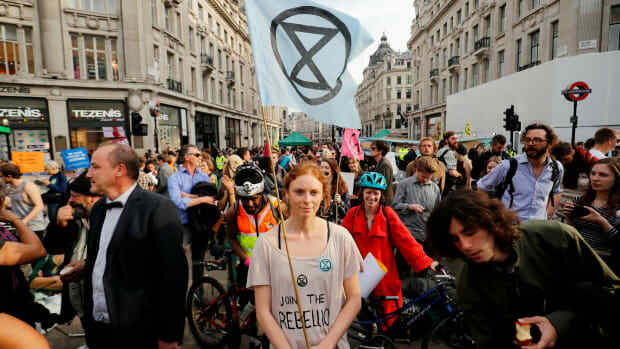 Protesters&apos; hope shattered and anger quickly resurged as demonstrations continued well into the night after the announcement, defying the newly established curfew. Demonstrators continued their nearly week-long sit-in outside the military&apos;s headquarters in central Khartoum and will continue to do so "until a civilian transition government is formed," the Associated Press reports. 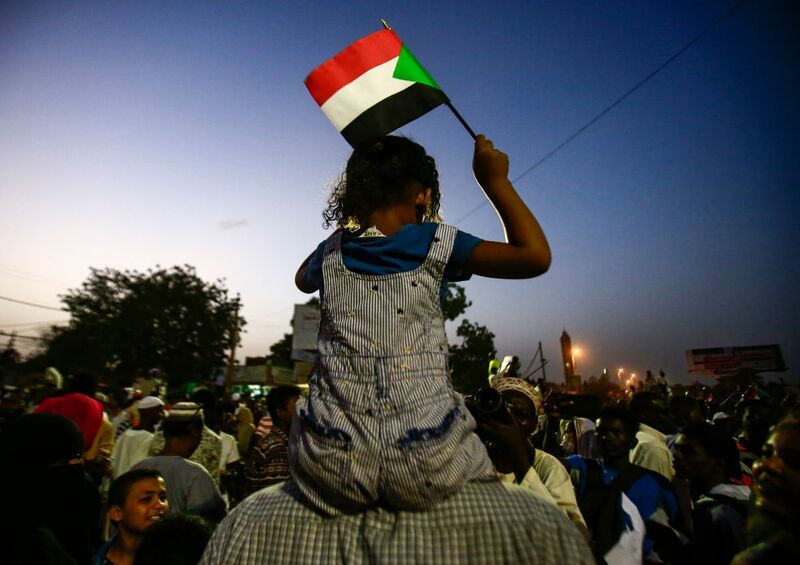 A Sudanese child waves a national flag as she sits atop the shoulders of a man during a late demonstration outside the army headquarters in the Sudanese capital Khartoum on April 12th, 2019. 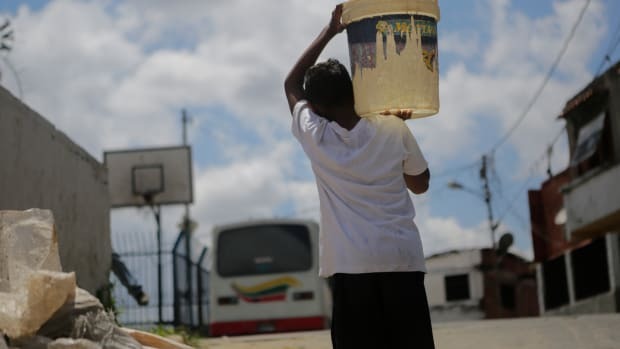 Protesters defied a night-time curfew to keep up four months of mass demonstrations. 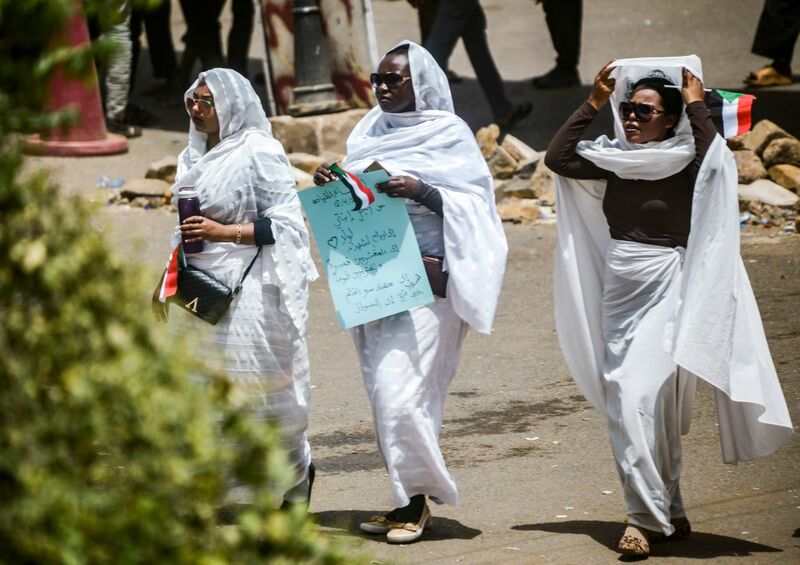 Sudanese women attend a rally demanding a civilian body lead the transition to democracy, outside the army headquarters in the Sudanese capital Khartoum on April 12th, 2019. Sudanese protesters vowed to chase out the country&apos;s new military rulers, as the army offered talks on forming a civilian government after it ousted president Omar al-Bashir. Sudanese men sit as they attend a Friday prayers sermon during a rally on April 12th, 2019. 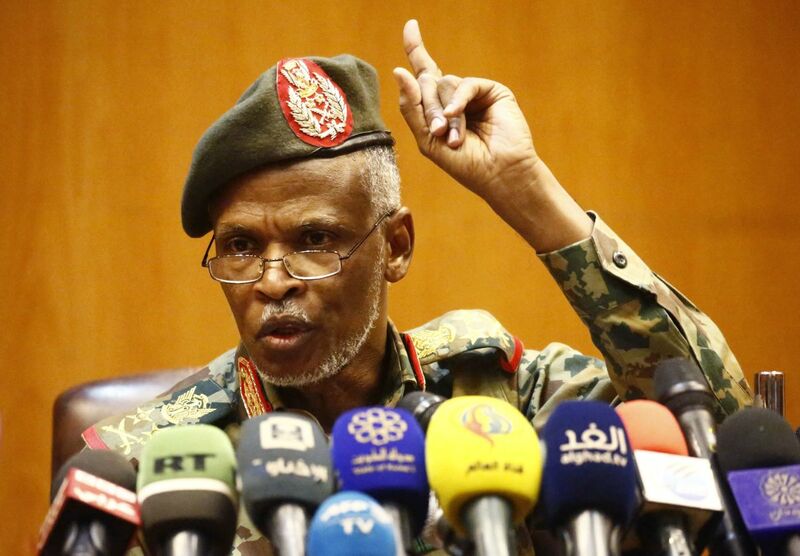 Lieutenant General Omar Zain al-Abdin, the head of the new Sudanese military council&apos;s political committee, addresses a press conference on April 12th, 2019, in the capital Khartoum. Sudan&apos;s military council pledged talks with "all political entities" and vowed the new government will be "civilian," adding that it will allow no security breaches. 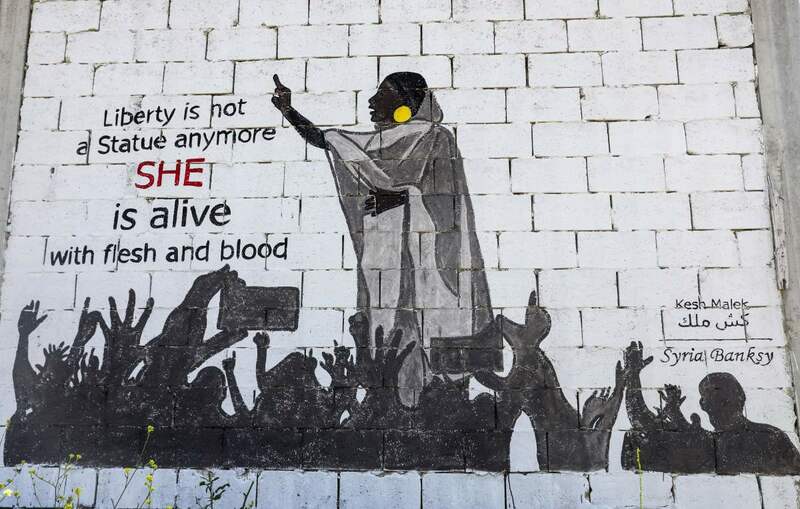 This picture taken on April 12th, 2019, shows a view of a mural painting of Alaa Salah, a Sudanese woman propelled to Internet fame after clips went viral of her leading powerful protest chants against President Omar al-Bashir, painted by the Syrian artists collective Kesh Malek (Checkmate) on the wall of a farmhouse building in the rebel-held Syrian town of Kafranbel in the northwestern Idlib province. Dubbed online as "Kandaka," or Nubian queen, Salah has become a symbol of the protests, which she says have traditionally had a female backbone in Sudan. 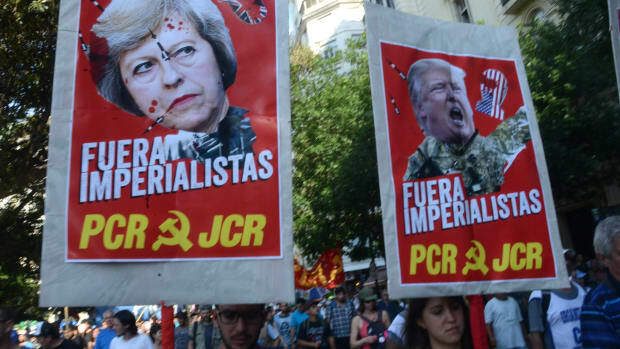 International—and intranational—tensions are high in Buenos Aires.